"It was a hard fought game and thankfully we came out on top," said head coach Dawn Washington on the win from Monday night. 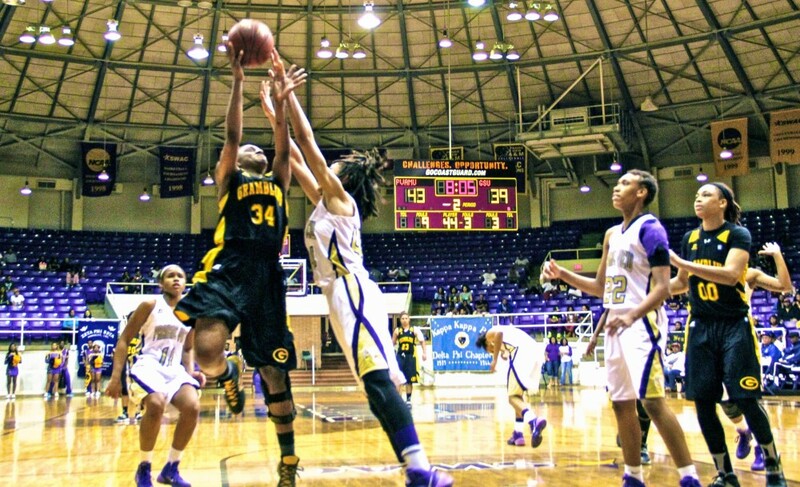 The Prairie View A&M Lady Panthers and the Tigers of Gambling State University battled it out in a double overtime thriller on Feb. 17. Although the Lady Panthers came out on top, both teams played their heart out, giving the fans a game to remember. 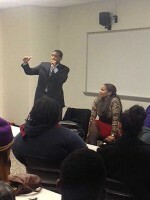 The intensity was sky high in the Baby Dome as the students of Prairie View cheered. Opening the game with a 7-2 run and forcing a Tigers timeout, it appeared as if the Lady Panthers were going to take off. Pressing for most of the half the defensive pressure from both sides picked up leading to the game being tied at 13 with ten minutes to go. Breaking the tie the Panthers began to inch away getting a five point, 21-17 cushion within the final five minutes of the half. The Panthers maintained their five point lead closing the half 30-25. The Panthers started the second half on a mini run pushing the lead to nine off of an impressive move by LaReahn Washington, who drew a chance for a three-point play. Up 10, Washington was forced to sit with four fouls, which was a huge blow to the Panthers defensive and offensive scheme. Within the eight minute mark the Lions fought to within four. Shortly after GSU clawed their way to a 44-43 lead forcing a PV timeout. After giving up a temporary lead the panthers hit two clutch free throws to tie the game up. With the score tied at 52, in the final seconds Larissa Scott threw up a nerve-racking half court heave that nearly dropped, sending the game into overtime. Prairie View went up by as much as three in the first overtime, trying to fend off the lion's come back attempts. Gabrielle Scott said her teammates stepped up once they realized her shot was off. "My shot was off all game, my teammates told me 'don't worry, we got this' and they took off." While both teams struggled in the quarter the Panthers managed to maintain a one point lead with 19 seconds left. Fighting for the rebound junior forward Victoya Ricks was sent to the line where she went one for two, disappointing the crowd and forcing a second overtime. During the second overtime the teams played with a different kind of tenacity. It was obvious that both teams were emotionally invested in the game and had no plans on going home with a loss. No lead exceeded two for the first couple of minutes in the quarter. Finally at the one-minute mark two key free-throws gave the Panthers a four point advantage over the Lions. The Panthers went on to score again but not soon after junior guard Joanna Miller drained a much needed three pointer, bringing her lions within three points. Thankfully for the Panthers, the clock was on their side, which caused the Tigers to force desperation fouls to stop the clock. The Lady Panthers kept their composure while hitting their clutch free throws and even rubbed the victory in a little with an excessive jumper at the buzzer. Not only were there four Panthers with double digit points but junior and senior guards Jeanette and LaReahn Washington combined for a more than impressive 43 points and 8 steals. Washington said she was satisfied, "We came together as a family and got the win."